Below are the complete details of the Vice Chancellor jobs in Pakistan Institute Of Development Economics in Islamabad. Skills Required for Job: Listening, Speaking and writing & Analytical and Problem solving skill. Listening, Speaking and writing & Analytical and Problem solving skill. Listening, Speaking and writing & Analytical and Problem solving skill. 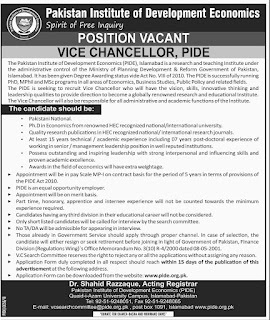 Qualification: Pakistan Institute Of Development Economics Islamabad Jobs For Vice Chancellor Qualification:- Ph.D degree from an HEC recognized university, 15 years of post-qualification experience in the field last date for submission of application is 20th Jan 2019. 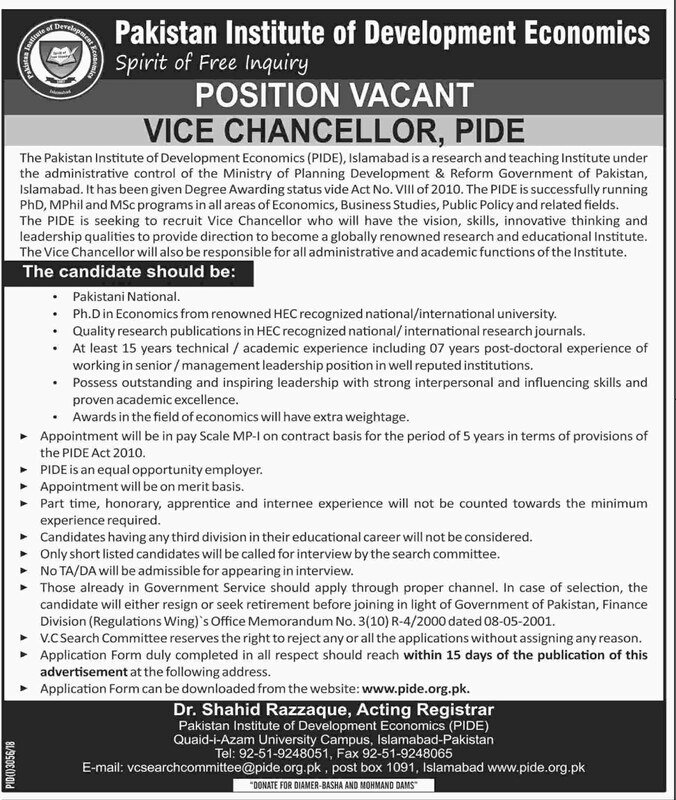 Vice Chancellor jobs in Pakistan Institute Of Development Economics Islamabad, in Pakistan published on Paperpk.com from newspaper on January 08,2019. Job seekers who are already working as can also apply for post of Vice Chancellor.